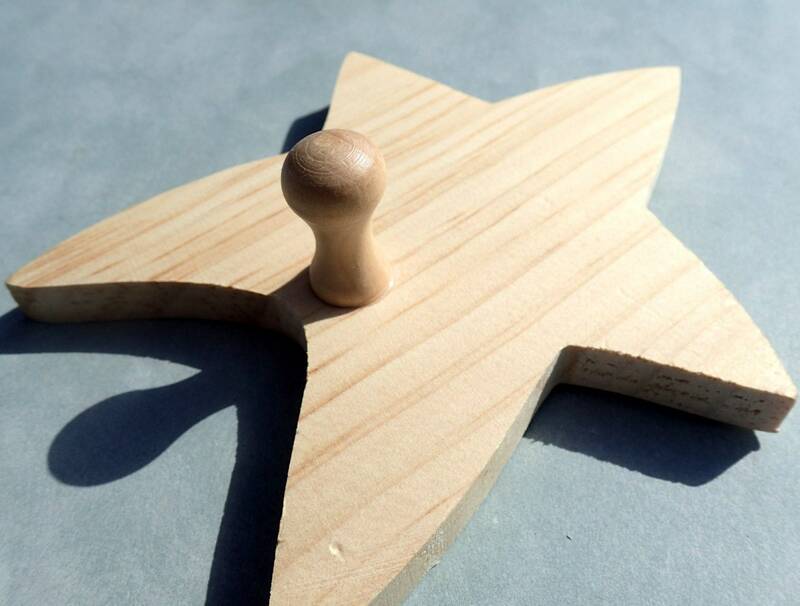 This is a 4.5" x 5" (11.43 x 12.7 cm) unfinished wooden star with a single shaker peg. It's a cute place to hang a coat or towel or hat. 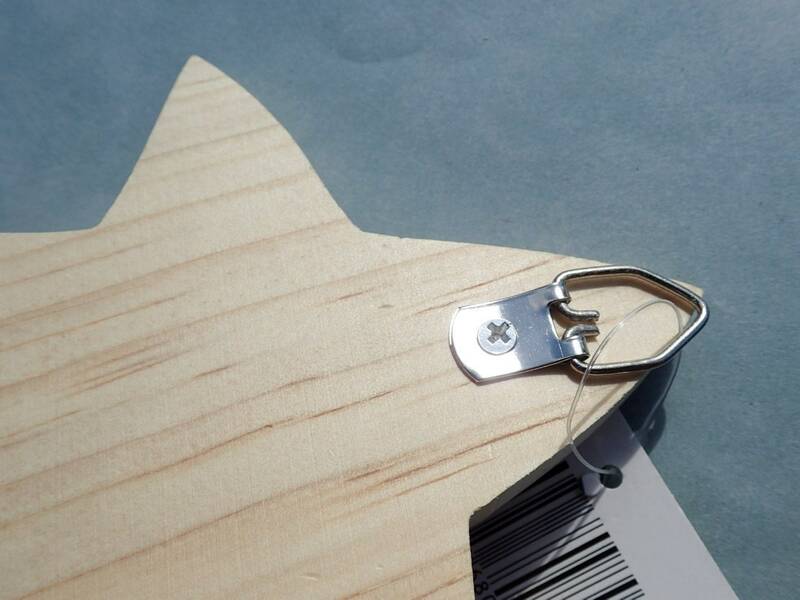 Decorate it to match your decor! 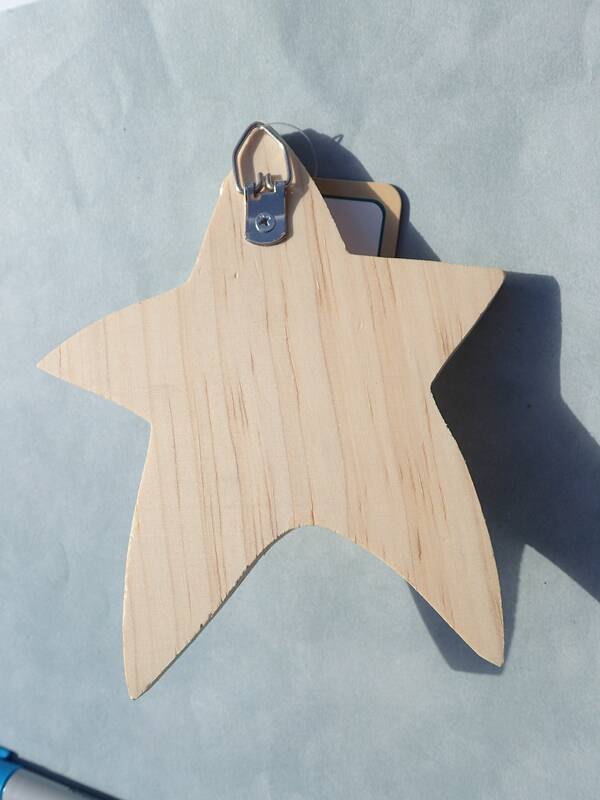 It has a metal hanger on the back for easy hanging. 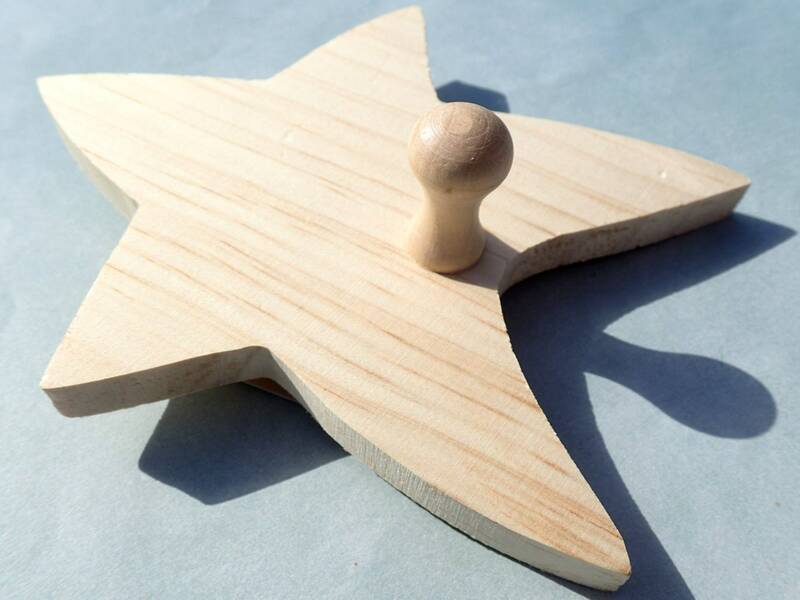 There are so many fun, different ways you could mosaic or paint or decoupage this wooden star! 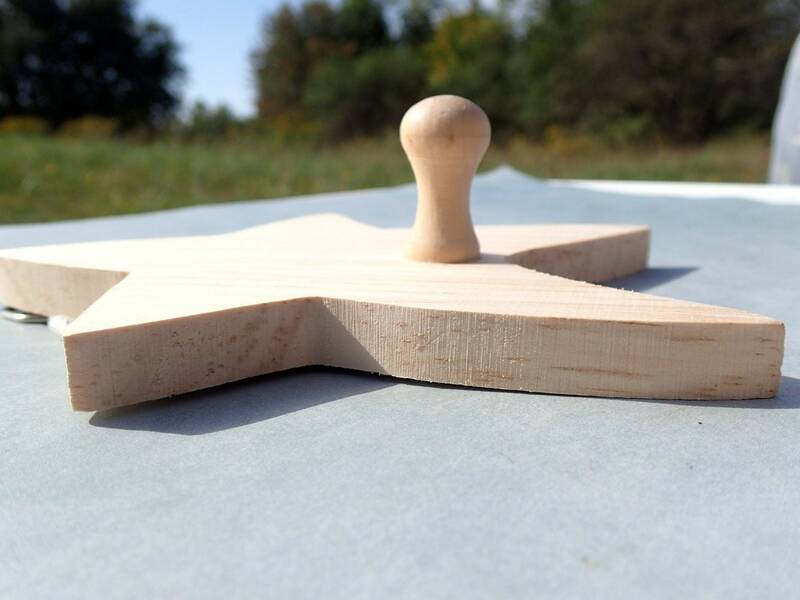 It is 3/8" (.95cm) thick, so the sides can be mosaiced, too. 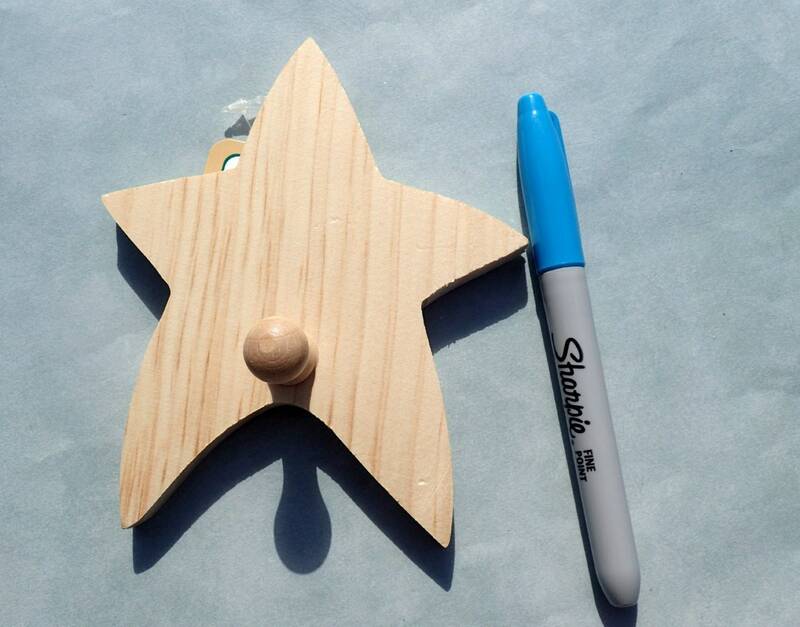 Let your imagination reach for the stars! 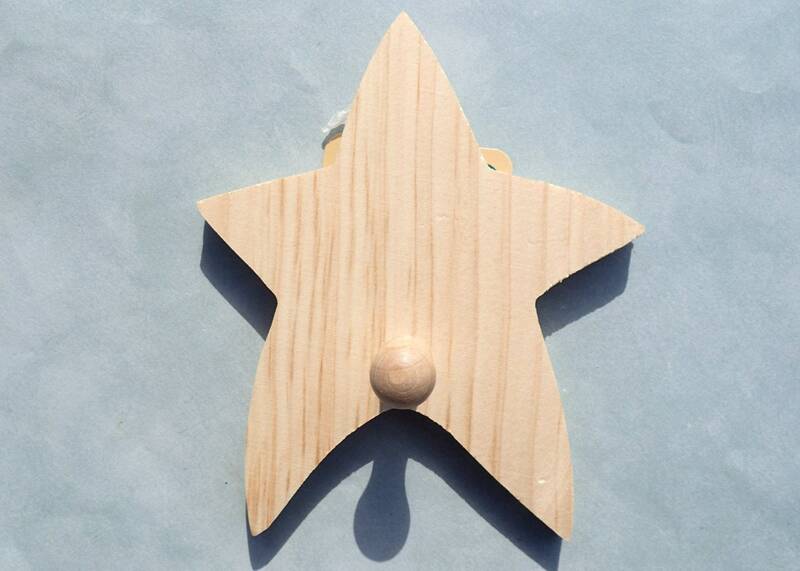 **This is a bit smaller than similar peg hooks like this, so be sure to note the size.